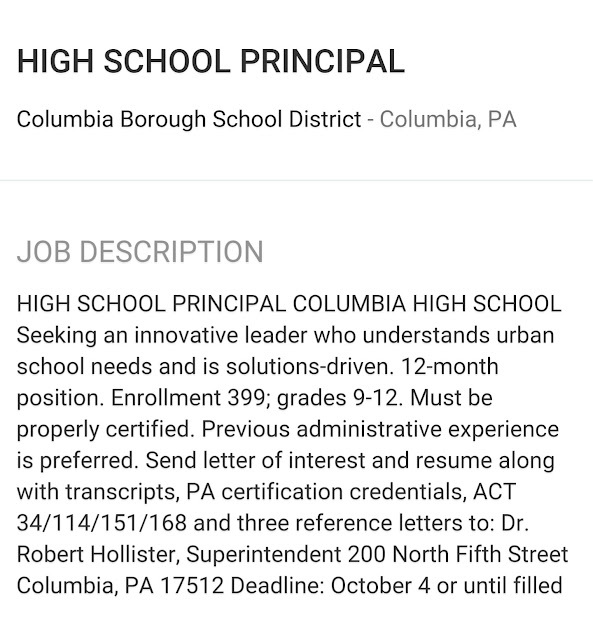 The following ad for a high school principal in the Columbia Borough School District was recently posted on monster.com. At its September 15 meeting, the board accepted the resignation of high school principal Maura Hobson, effective September 14, 2016. Hobson will remain in the position for up to 60 days, pending a replacement. The link to the job posting is HERE. 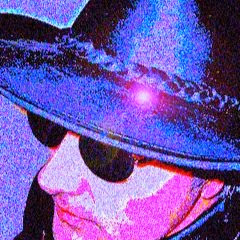 Does anyone know if Tom Strickler lives at a Columbia adress?? 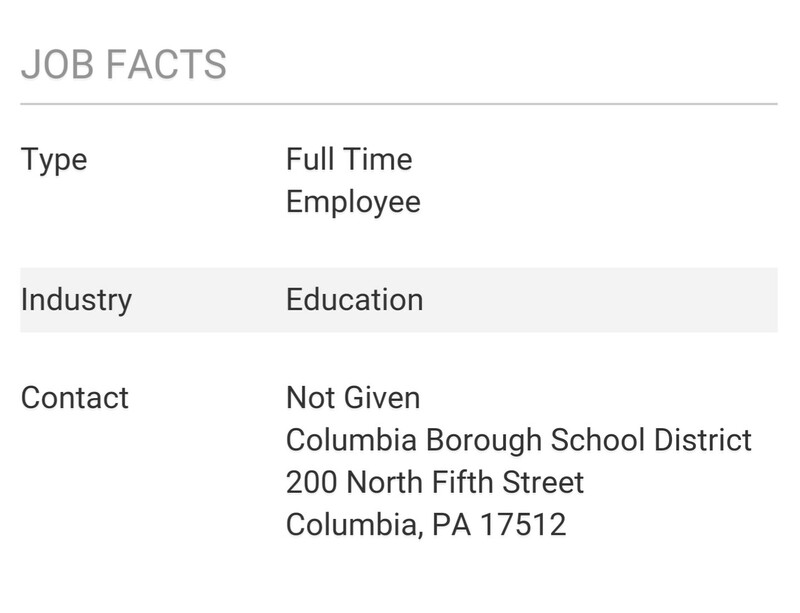 Let's hope our board selects person who is strong on discipline and well rounded education. Also, keep an eye on the director of operations. Why would the deadline be October 4 or until filled? 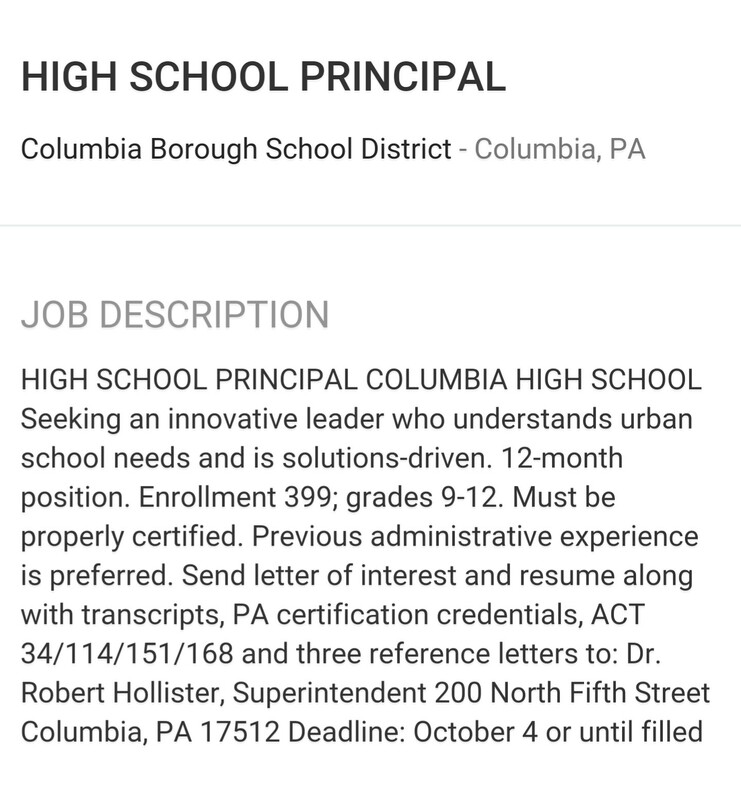 Such a short window of advertising for this important position. Who makes these types of decisions?